In fact, a report from The Netherlands adds to the evidence tying chronic gum disease to heart disease and stroke. In a study published in the Journal of Epidemiology and Community Health, of more than 60,000 dental patients, those with periodontitis were twice as likely to have had a heart attack, stroke or severe chest pain. Previous studies have linked periodontitis and atherosclerotic cardiovascular disease, but this is the first to investigate the link in a group of people this large, the researchers say. At the Academic Centre for Dentistry Amsterdam, investigators reviewed the medical records of 60,174 patients age 35 and older. About 4 percent of patients with periodontitis had atherosclerotic cardiovascular disease, compared to 2 percent without periodontitis, the researchers found. Even after taking other risk factors for cardiovascular disease into account, such as hypertension, high cholesterol, diabetes and smoking, those with periodontal disease were still 59 percent more likely to have a history of heart problems, according to a report in the Journal of Epidemiology and Community Health, August 8. “It’s clear that periodontitis is associated with chronic inflammation, so it makes sense biologically that if you have a heavy infection in your mouth, you also have a level of inflammation that will contribute to heart conditions,” said Panos Papapanou of Columbia University in New York, who has studied the association between gum disease and heart disease but wasn’t involved in the current study. The research team suggests that gum disease develops first and may promote heart disease through chronic infection and bacteria in the circulatory system. Dr. Bruno Loos, the senior author of the new report, said by email that “plausible mechanisms to explain the relationship” may include a common genetic background for the way the body handles inflammation, oral bacteria and immune responses. Still, this kind of observational study can’t prove that gum disease causes heart problems. “The association . . . does not provide proof (of causation), even when the results from our study corroborate findings from previous similar research,” study coauthor Geert van der Heijden said by email. “It seems all over the globe we have to consider this relationship,” Loos said. Try these Radius brushes – their ergonomic handles are great for arthritis and other muscular disabilities, as well as for aid in home care. Oral cancer is one of the most common cancers, with roughly 35,000 new cases reported annually in the United States. Oral cancer most often occurs in people who are older than age 40. Oral cancer can form in any part of the mouth or throat. If not diagnosed and treated in its early stages, oral cancer can spread, leading to chronic pain, loss of function, irreparable facial and oral disfigurement following surgery, and even death. Oral cancer has one of the lowest five-year survival rates of all cancers; this is primarily due to late diagnosis. See a dentist immediately if you notice any of the following: red or white patches on your gums or tongue, a sore that fails to heal within two weeks, bleeding in your mouth, loose teeth, problems or pain swallowing, or a lump in your neck. Your dentist should perform a head and neck exam to screen for oral cancer during routine checkups. It’s not just our parents who are aging; their dental work is as well. Fillings, crowns, dentures and partial dentures sometimes become worn out and need to be replaced just when it becomes hard for them to get to a dentist. If dry mouth is an issue for your parents, you can discuss the side effects of their medications with their physician. You want to help them get relief. Over-the-counter oral moisturizers, alcohol-free mouthwashes and sugar-free gum and lozenges can help. Make sure they are using fluoride toothpaste. Encourage them to drink plenty of water and to avoid drinking acidic fruit juices and carbonated sodas. Keeping on top of your parents dental care is challenging when they are in a nursing facility. Having to deal with so many other health care needs, caregivers often don’t rank dental hygiene as a top concern. You may have to communicate specific oral hygiene needs to the staff. Also, be mindful of your parents’ eating habits. If necessary, get input from the nursing staff. If they are not eating as much as usual, they could be experiencing dental pain or dealing with an ill-fitting denture. It may feel like a strange role reversal, but now it’s our turn to do for our parents what they did for us. Their quality of life depends on good dental health, and we must ensure that their dental needs are met for as long as they are with us. 1. Be proactive: if your parent is dependent on you to take them to dental appointments there is no better time than now to do it than now to get things back into good health and set a dental checkup instead of waiting for something to hurt. 2. If you have a parent at home with you or in a long term care facility brushing 2 to 3 times a day would go a long way to reducing cavities and promoting better gum health. 3. Use of a daily fluoride mouthwash or high fluoride content toothpaste can also help reduce cavities. Speak to your dentist about these products. Try ACT Sensitive for an alcohol-free, non-burning flouride mouthwash option. 4. 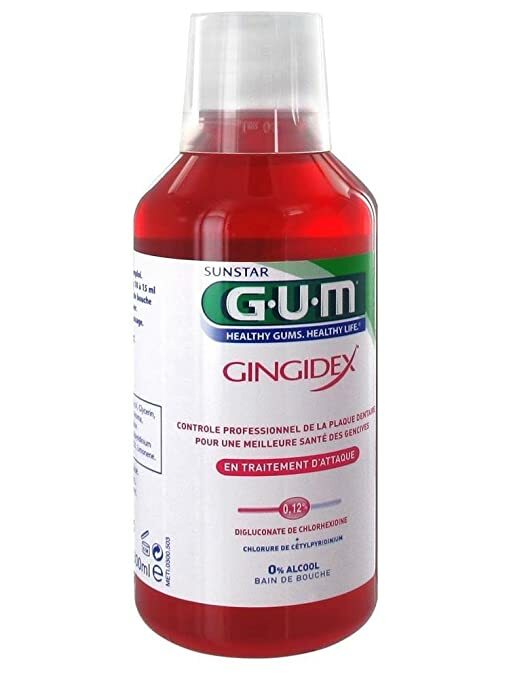 A chlorhexidine mouthwash can help reduce cavities and gum disease in patients that are not able to brush effectively. 5. You could also be trained to brush for your parent if they are unable to do so themselves. 6. 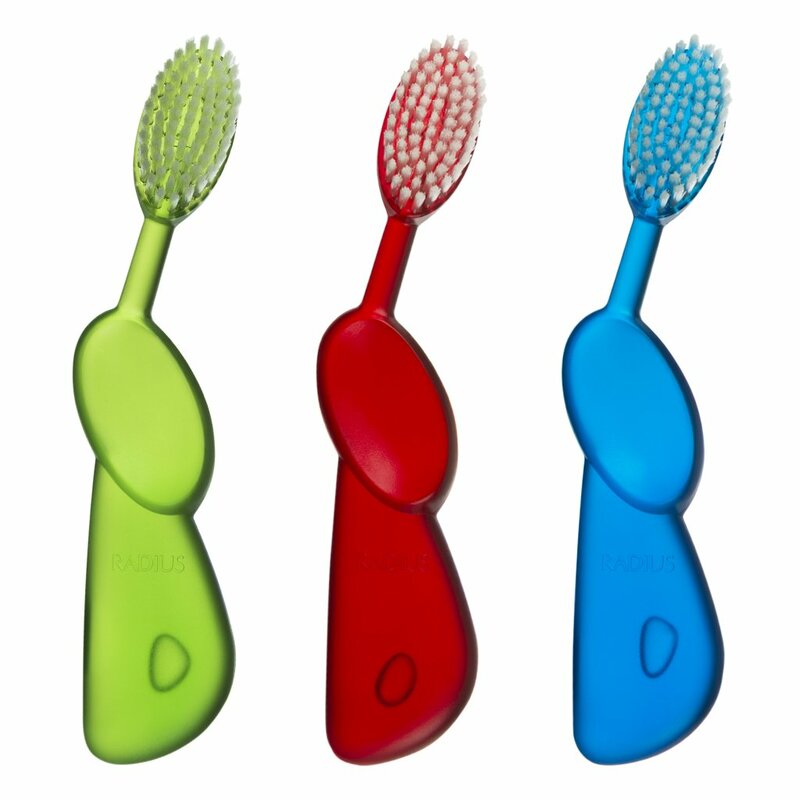 An electric toothbrush can also be helpful in getting the teeth cleaner. 7. 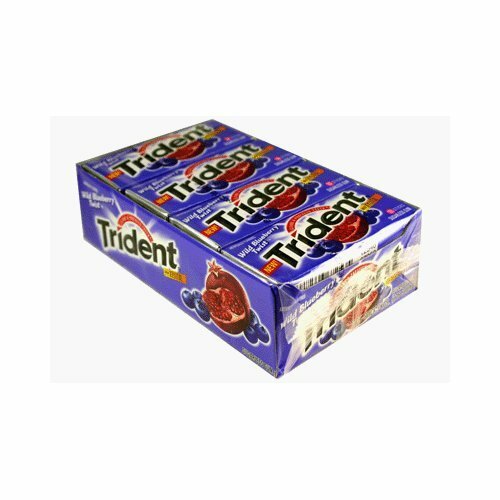 If they are okay with gum chewing, chewing a piece of sugarless, xylitol containing gum for five to twenty minutes after a meal or snack out can help reduce cavities. Good dental health is something that many take for granted. 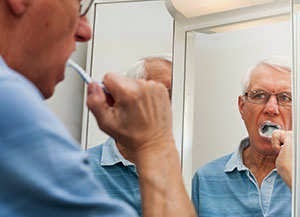 Being able to eat whatever we want, to speak without fear of a loose denture falling out or being too self conscious to smile due to cavities or missing teeth is a hardship faced by many older adults. Poor dental health can result in health problems. For example, if you have missing teeth or loose teeth you may out of necessity choose softer foods to eat , which tend to be more more processed, with little or no fiber; a diet low in fiber can lead to a greater incidence of colon cancer. I hope this article has shed a little light on a common issue of dental health in the aging adult. Remember that by being proactive, you can help prevent not only dental issues, but other, potentially life-threatening complications.